Hi everyone. I came across this beautiful Jules Verne quote only a few weeks ago and had to make my own version of it. It really captures the powerful & spiritual hold the sea has over us. It’s hard to believe this quote is almost 150 years old. But it’s so relevant today to have a connection to nature in an increasingly disconnected world. NEW Dreaming on a Star Etsy Print Shop! Hi everyone. Dreaming on a Star has a new Etsy Print Shop! I opened this shop last month and have been slowly adding items to it. I am delighted to say I have made 3 sales so far. This shop is a labour of love for me. I put my heart and soul into every piece I design for it. So far there are super cute magnets, pretty mirrors, quirky badges, inspirational wall art and lovely greeting cards. I plan on adding professionally printed notebooks soon. 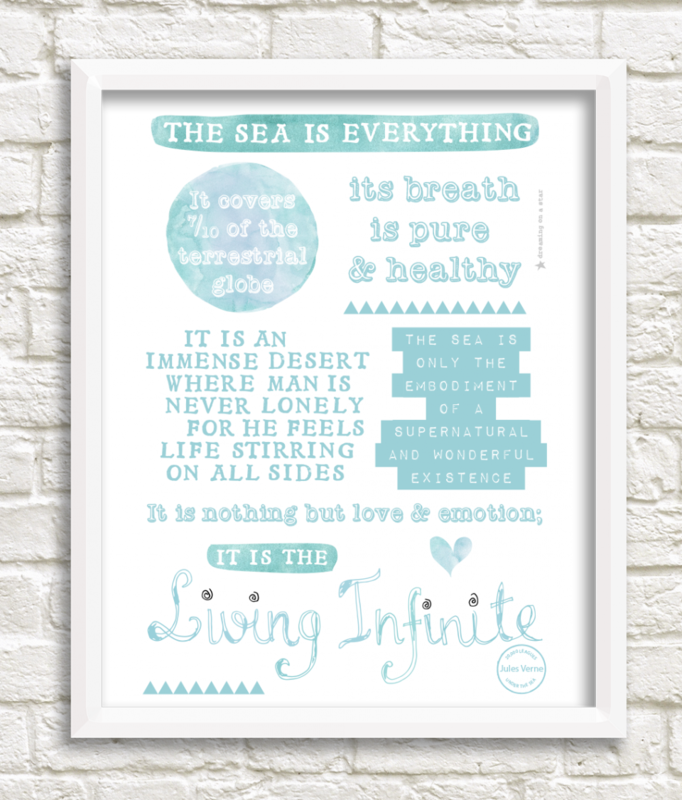 I hope you like my Etsy Print Shop. Keep checking back as I will be adding lots of new items in the future! The Creative Life – Listen to your Spirit! Hi everyone! The last few months, I’ve been feeling disillusioned creatively and today I think I’ve made a breakthrough. I got up at 7.30am on my day off to finish this illustration. I know in my heart and soul this is what I want to do. You can have the wildest dreams but life can be harsh and put you in your place. A creative life is a bittersweet life – the highs are ecstatic but the lows are deep and dark. I’ve wanted to give up so many times but something keeps calling me back. 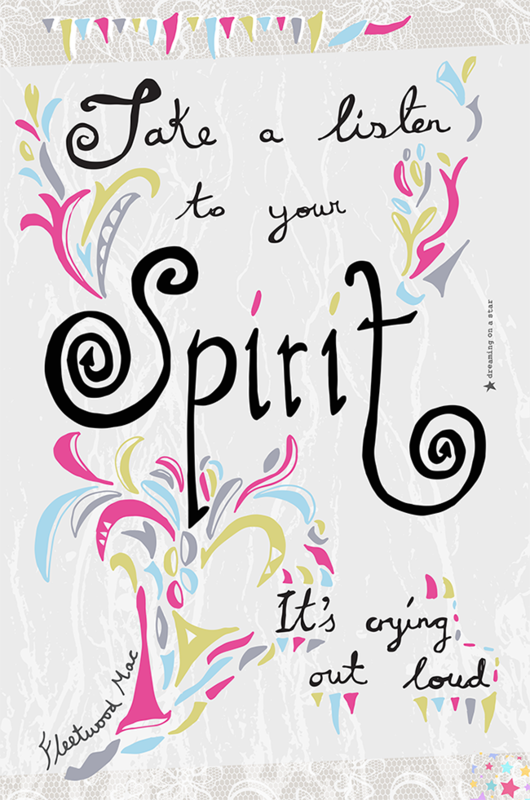 Listen to your spirit – what is it telling you? Get Your Craft On! 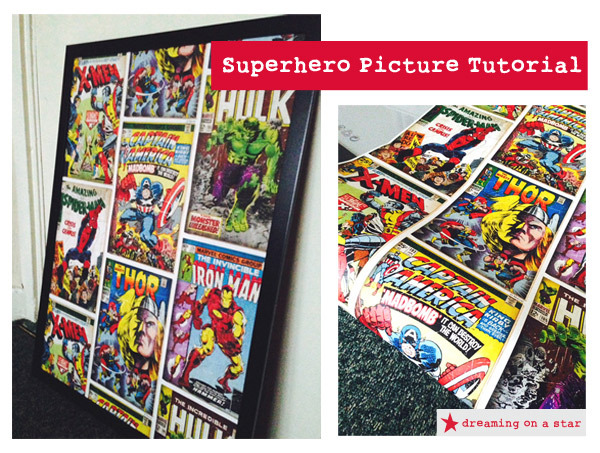 Make Two Awesome Pictures for Low Cost! Hi everyone. Dreaming on a Star has been making pictures! 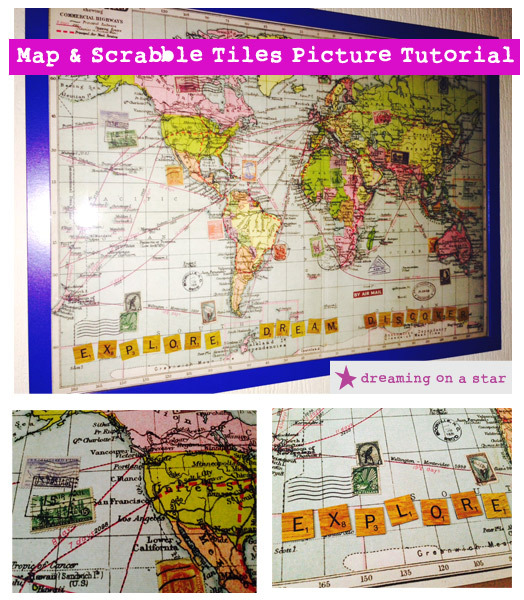 These two awesome pictures look great and you will be surprised how inexpensive they are to make. You just need to do a bit of rummaging in shops and be on the look out for interesting wallpapers and wrapping paper. Have Gratitude for your Life! Hi everyone. I’ve been reading lots of inspirational books lately and one thing that keeps cropping up, is cultivating a sense of gratitude in your life. Do you have gratitude in your life? Hi everyone. Now that it’s February it won’t be long until we have that special day of love – St Valentine’s Day. So I’ve compiled a little collection of crafts to get yourself ready for the day. Don’t feel left out if you don’t have a partner. Spend the day with someone you love, whether that’s a parent/grandparent, a friend, a sibling, your child or even your pet and make them feel special! 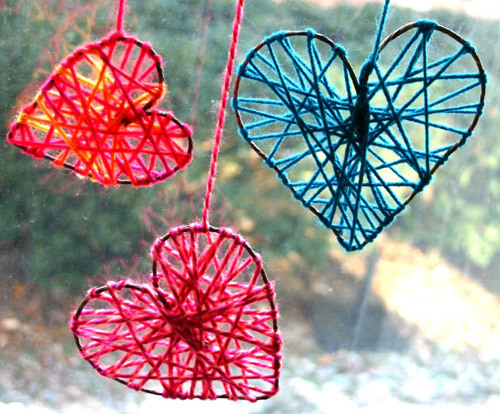 Decorate windows with these simple but effective Yarn Hearts. Find out how to make them here. Make something yummy for your loved one. 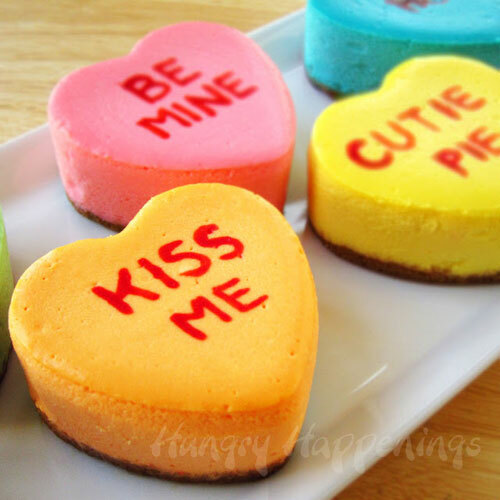 Why not a Lovehearts cheesecake? This looks absolutely delicious! 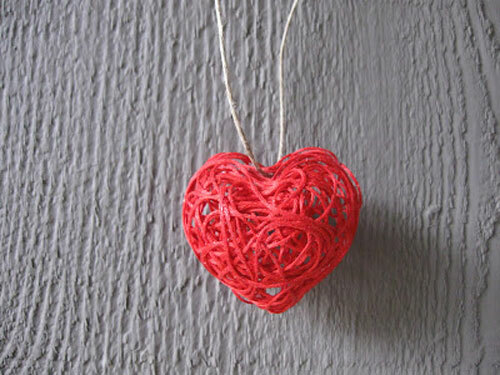 It’s time to wear something nice, so how about a really cute string necklace to finish off your Valentine’s outfit? Find out how to make this adorable necklace here. And you’ll need a place to carry all those craft supplies or for Valentine’s shopping. 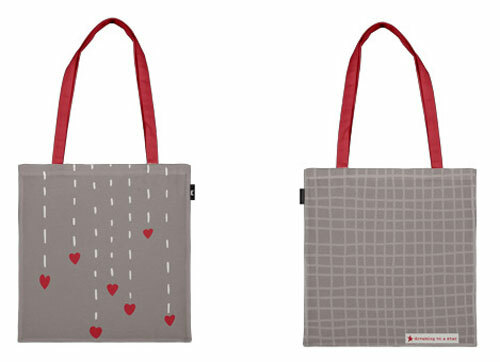 Check out Dreaming on a Star’s Falling Hearts totebag, perfect for St Valentine’s Day. Hi lovely people! I am on Pinterest and would love if you would follow me! 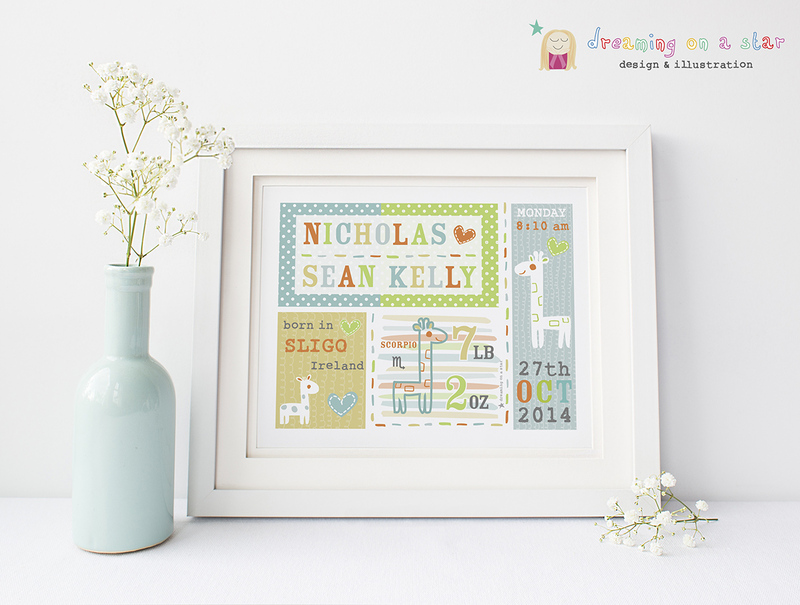 I look out for cute and inspirational things and showcase some of my work there too.